Leonardo expanded a 2016 partnership agreement it made with Politecnico di Milano, the largest technical university in Italy, to collaborate on the development of future technologies for helicopters. The new expanded efforts will focus on exploring the use of new materials for mechanical components, research for predictive maintenance, and the development of geo-information tools. 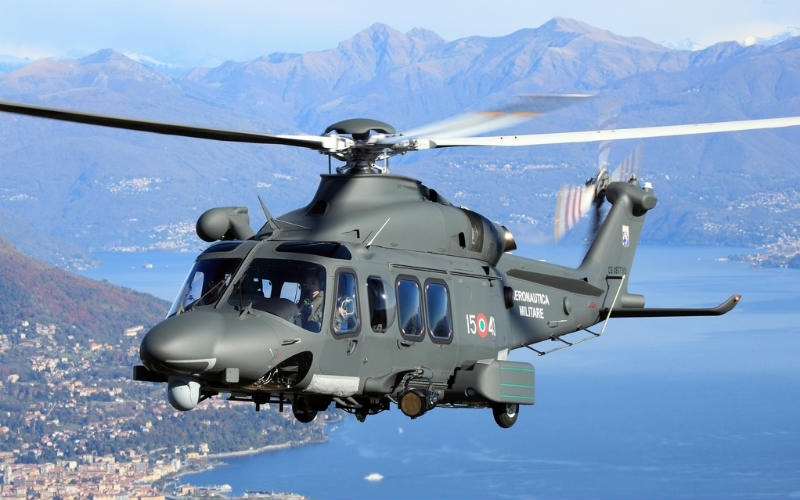 The Innovation Hub created in 2016 between Leonardo and Politecnico di Milano (PoliMi) first targeted reductions in vibration and noise levels in the cabins of helicopters, under the name Project Comfort. The reference platform for the study is the AW139 helicopter. Project Comfort concentrates on three main areas: the rotor, from which the vibrations originate; the main gear box attachments, through which rotor vibrations are transmitted into the helicopter structure thereby reducing the level of comfort; and finally on the airframe itself. Initially, the new studies will look toward innovative technologies that can be used in new mechanical components utilising new lighter materials, which will bring advantages in terms of production costs and ease of installation. Relating this work to Project Comfort, Leonardo explains the will allow for the transfer of loads from the rotor to the main gear box of the helicopter. It will provide what the company describes as a significant simplification of the existing mechanical system, based on the use of a single flexible component rather than a complex mechanical system. The research project on predictive helicopter maintenance based on its health status will be launched by 2018. This will be based on information provided by Health & Usage Monitoring Systems (HUMS) to provide advance indications of anomalies helping to increase safety levels and reduce operating costs. Through e-GEOS, a subsidiary of Leonardo’s join venture Telespazio (80%) and the Italian Space Agency (20%), Leonardo and PoliMi will develop geo-information tools for precision management of agriculture, insurance, oil and gas, defence and emergency management. This joint development is to focus on data analytics of satellite services. The partnership, explains Leonardo, will allow e-GEOS to offer new and powerful tools for the detailed analysis of the planet. Artificial Intelligence techniques, developed by e-GEOS in partnership with the Department of Electronics, Information and Bioengineering (DEIB) of the PoliMi, will be able to reveal insights, trends and other information contained in satellite data when integrated with information generated from other sources.